Did you grow up loving reading about the adventures of the legendary Clifford the Big Red Dog, or even watching him on television? If so, now is a great time to introduce your children to this larger-than-life character, by visiting the Fort Worth Museum of Science and History, which is hosting a special Clifford exhibit now through Sunday, September 24, 2017. This is just one of many great reasons to visit the museum over summer break! Remember that Big Red Dog? Clifford the Big Red Dog, the museum exhibit, highlights his many adventures through Birdwell Island with his friend Emily, and features many of the main locations from the beloved children’s book series and television show. 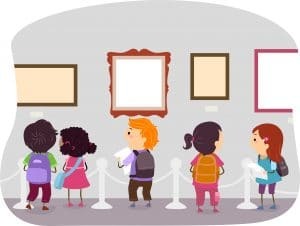 Of course, it is just one of the museum’s many kid-friendly attractions, making the museum a perfect summer destination, as well as a weekend activity once school is back in session. Other special attractions include Nickelodeon’s Dora & Diego explorer exhibit, as well as Hidden Treasures. The Omni Imax and Planetarium are some of the museum’s biggest draws, but there are dozens of other reasons to visit. The Fort Worth Museum of Science and History is located at 1600 Gendy Street, Fort Worth, Texas 76107. For more information about this, and the museum’s many other exhibits, contact 817.255.9300. Regular dental cleanings help to keep both your teeth and gums healthy. You can schedule your next appointment, by calling Dr. Steven Huffstutler in Ft. Worth, TX, today at 817-577-1444.